New Video: What is Right? Climate as a Moral Question. Pope Francis’ visit to the US catalyzed the growing sense across the country, and across the globe, that climate change is, above all, a moral issue. More and more scientists have realized that speaking to this moral dimension is far more persuasive than speaking the language of science and fact, as compelling as those are. Most people simply respond better to an issue that is framed in moral terms. The emerging story of what Exxon knew, and when they knew it, shows that the differences have never really been about the science questions – even the major oil companies knew the basic science truths 4 decades ago. They simply made a moral decision that the lives of the next ten thousand generations of human beings were not as important as their own profits, and we are now witnessing the early impacts of that decision. In Reykjavik last month, I had the chance to interview Mike Mann and Stefan Rahmstorf at length. 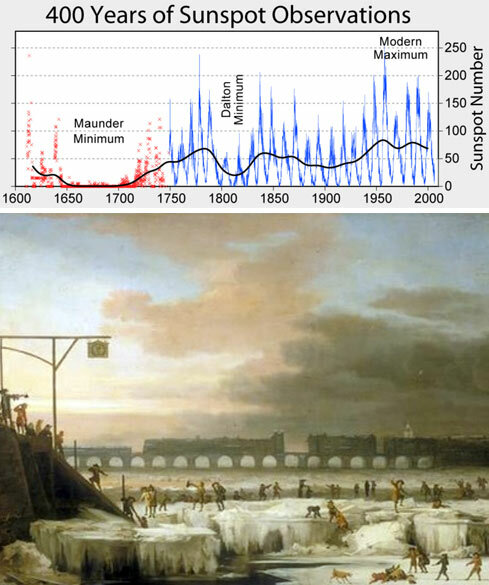 Both are former IPCC authors, Mann is Professor of Geosciences at Penn State U, where he is Director of the Earth System Science Center, and is well known for his paleo-temperature reconstruction, the famous “Hockey Stick” graph. Dr. Stefan Rahmstorf is an Oceanographer at Potsdam University in Germany. Both men are founders of the “RealClimate” blog. I was able to include a lot of footage shot with the help of Phil Coates, an actual professional with a camera, meaning – good lighting, and good sound. The difference in quality is shocking, in a good way. Special thanks is also due to Gudni Elisson, organizer of the Earth 101 event which brought us all together in Iceland. Also, this is the first of what I hope will be many videos produced with support from the University of Lethbridge, Alberta, and the Social Science and Humanities Research Council of Canada. For anyone that wants a quick, credible intro to what’s in the new report – this should get them started. The new report Summary for Policy Makers is here. 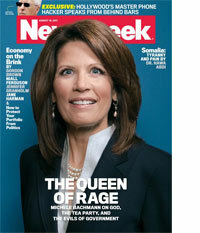 We’re going to have to have a contest to decide who looks craziest, – Monckton in this video, or Michelle Bachman on the cover of Newsweek. Sea level rise. It’s been the subject of myth, legend and pop culture for millenia. It is going to be one of the major destructive effects of global climate change. So naturally, its something that makes deniers do and say crazy things. Here’s the updated, remixed video on a misunderstood topic.